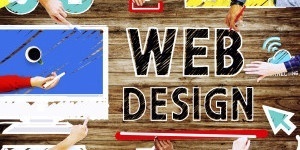 Are you looking for professional website design in Loudoun County or Leesburg Virginia? Whether your company is looking to redesign and upgrade their existing website, or to create a new website from scratch, Canterbury Graphics has a website design package to fit your needs. All our websites are mobile and search engine friendly and custom designed for your business. Our sites include a content management system (CMS) and training so you and your staff can manage the content yourself.